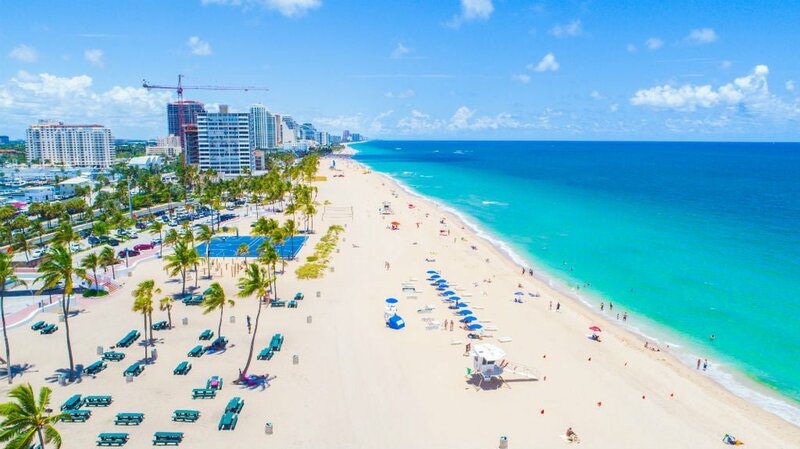 An incredibly popular beachside destination, Fort Lauderdale lies on the southeastern coast of Florida, right on the Atlantic Ocean. This sunny and attractive city has a vast network of canals, leading to its common nickname: the Venice of America. A sophisticated and lively city, Fort Lauderdale enjoys an ideal South Florida location, within a day’s drive (or day’s sailing) of Miami’s famed South Beach as well as easy access to the spectacular Florida Keys. One of the major draws for visitors to the Fort Lauderdale region is the tremendous sailing to be found here. 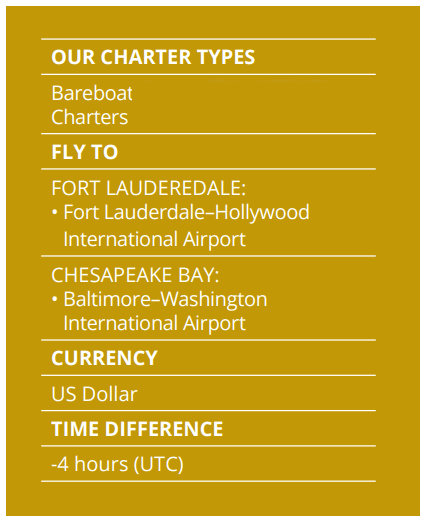 Yachts and vessels of all kinds are everywhere in this popular boating destination, and Dream Yacht Charter has built its newest US headquarters here to take advantage of all that Fort Lauderdale has to offer. With fabulous Atlantic Ocean sailing, your yacht charter can set off to visit any number of exciting spots. The island paradise of the Florida Keys is a great location to add to your itinerary. Spend a day exploring vibrant, artistic Key West, full of great shopping, dining, and sites of historical interest. Other South Florida areas to discover are Miami, Islamorada, Biscayne Bay, and Marathon, with their many different activities and atmospheres. If you desire, you even have the option of sailing into the Dry Tortugas or into the Bahamas, where Dream Yacht Charter has a base on Abaco. In the Bahamas, you’ll find a plethora of islands for excellent snorkeling, swimming, and sunbathing. Before you embark on your unforgettable yacht charter holiday, spend some time savoring the relaxed South Florida atmosphere. Fort Lauderdale is known for its incredible beaches. Year round temperatures in this area rarely dip below 18 C (65 F), so every day is fabulous beach weather. After you’ve achieved your desired level of suntan, head inland to Las Olas Boulevard for a bit of upscale shopping, or visit Sawgrass Mills, one of the biggest malls in America. In the evenings, enjoy a variety of great dining options and exuberant nightlife. Life is a beach party down here in the tropical Florida sunshine. When you spend your next vacation on an outstanding Fort Lauderdale sailing holiday, you may find it hard to go home!